Surly Furious would be a great name for a rock band. And maybe it describes stocks. It’s for certain the name of a great Minnesota beer. 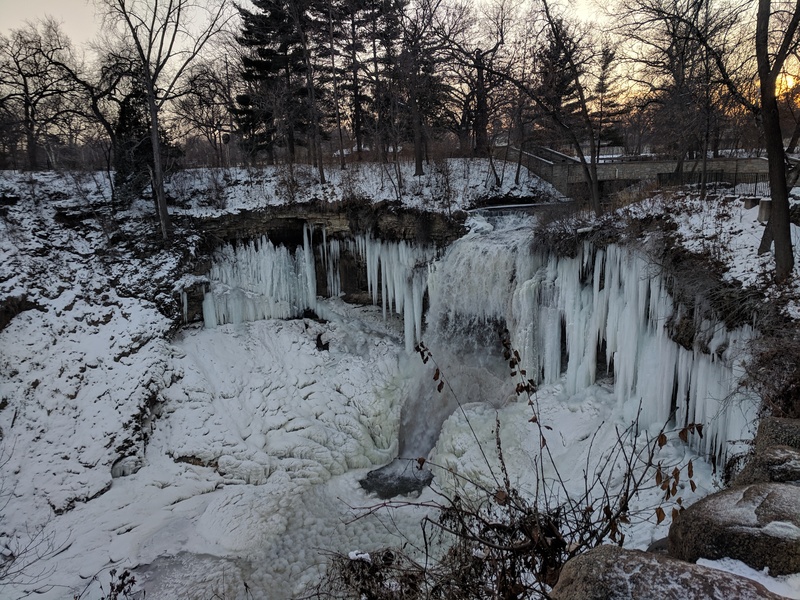 We are in Minneapolis, one of our favorite cities, where Midwest client services Director Perry Grueber lives, and where nature sprays and freezes into the artful marvel of Minnehaha Falls, and where over pints of Furious IPA from Surly Brewing we deconstructed investor-relations into late evening. It got us thinking. ModernIR launched Sector Insights this week to measure how money behaves by sector. The data we track show all sectors topping save Consumer Staples. We’re not surprised that closing prices are reverting to the mean, the average, after big swings. You need to understand, public companies and investors, that the market isn’t motivated by your interests. It’s driven by profit opportunity in the difference in prices between this group of securities or that, over this period or that. How do we know? Because it’s what market rules and investment objectives promote. Prices in stocks are set by the best bid to buy or offer to sell – which can never be the same – and motivated most times not by effort to buy or sell stocks but instead by how the price will change. Who cares? You should, investors and public companies. Suppose I told you that in this hotel where you’re staying the elevator only goes to the 5th floor. You decide it’s immaterial and you set out to reach the 6th floor. You lead your board of directors and executives to believe it should be their expectation that they can reach the 5th floor. Yet as you arrive at the elevator you learn it goes only to the 4th floor. The beer that put Minneapolis on the map is from Surly Brewing, an India Pale Ale called Furious. What’s better in a name than Surly Furious? It’s worth drinking. When the market is surly and furious, you should know it. We can see it first in Market Structure Reports (we can run them for any company), and then in Sector Insights (just out Dec 10) and in the broad market. Number one question: How does it change what I do? Investors, it’s easy. Don’t buy Overbought sectors or markets. Don’t sell Oversold sector or markets, no matter how surly and furious they may seem. Public companies, we expend immense effort and dollars informing investors. Data suggest disclosure costs exceed $5 billion annually for US public companies. If we discovered the wind blows only from the west, why would we try to sail west? If we discover passive investors are attracting 100% of net new investor inflows, and investors don’t buy or sell your stock, should you not ask what the purpose is of all the money you’re spending to inform investors who never materialize? We can fear the question and call it surly, or furious. Or we can take the data – which we offer via Market Structure Reports and Sector Insights – and face it and use it to change investor expectations. Which would you prefer? We’ve now released Sector Reports. If you’d like to know what Sentiment indicates for your stock, your sector — or the broad market — ask us.